Police say an armed robber approached a Loyola University student from behind, grabbed his backpack before demanding a wallet. 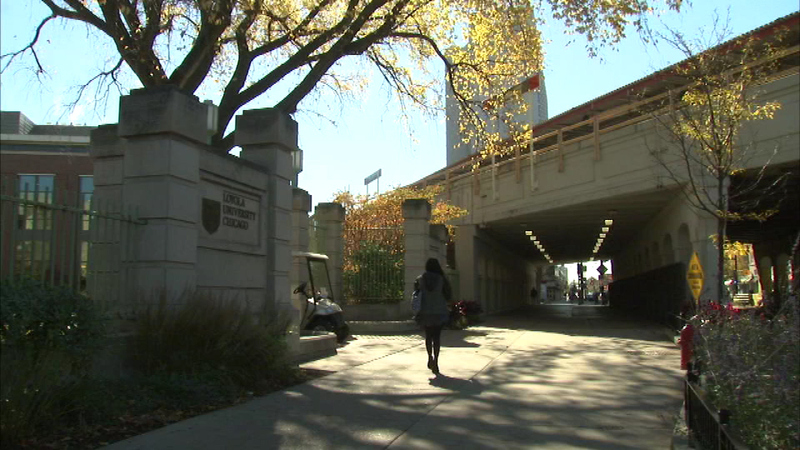 CHICAGO (WLS) -- Police say an armed robber approached a Loyola University student from behind, grabbed his backpack before demanding a wallet. The alleged attack happened around 3:45 a.m. Saturday morning near the Loyola Lake Shore campus. "They happen more often than we get notified, which is a little alarming," said Loyola student Tricia McAuley. "I think they do need to keep us in the loop more." "I feel like campus safety needs to do a better job patrolling areas around the campus rather than just in the campus," Loyola student Isabel Lepprage said. Police describe the offender as a 25-to-30 year old man with a dark complexion and has a gold tooth on the left side of his mouth.